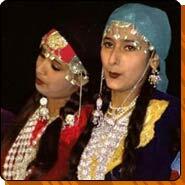 ...and see traditional dance of India. Unforgettable combination trip; Exotic golden triangle, Himalaya's breathtakingly beatiful mountain town Shimla, and Dharamsala (Mcleod Gunj), The city of Dalai Lama. Departures three times a week. Departure from Helsinki-Vantaa to Frankfurt, a connection flight with Air India to Delhi. Arrival in the morning to Delhi, transportation to the hotel. A sightseeing tour in New Delhi in the afternoon; A visit to Emperor Humayum's grave memorial from the 15 th century, which is said to have inspired emperor Shah Jahan to build Taj Mahal. 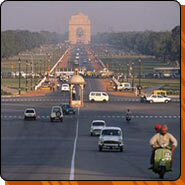 Also a visit to Connaught Place, Lakshimi Narayan temple etc. In the morning a sightseeing tour in Old Delhi, which highpoint is taking a stroll in lively and exotic residential and store block. A visit in Mahatma Gandh's grave memorial in Raj Ghat. 250 kms long car trip to Jaipur through India's countryside in the afternoon. Accommodation in a hotel. Jaipur is the capital of Rajasthan. The city was called the pink city because Maharaja ordered all the buildings to be painted in pink. In the morning a visit in Amber's fort, which is located in the former capital. You will ride up to this fort on elephant's back like Maharaja. In the afternoon a visit to Maharaja's current palace in the centre of the town. You will see the observatorium from the 17 th century where you can set your digital watch into the right time. Resting in the morning. Departure to Agra (235 kms) in the afternoon. Along the tour a visit in Fatehpuri Sikri, a fort town build by emperor Akbar which is one of the best kept mogulstyle buildings. The town was abanded only 16 years later after it was built because of water damages. Accommodation in a hotel. A visit in the morning in Taj Mahal, the most beautiful building in the world. A visit in a marble workshop and the afternoon could be spend sunbating and swimming. In the afternoon to Delhi by car, a night train to Kalka. 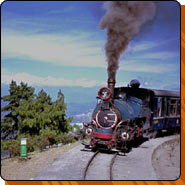 Arrival in the morning to Kalka, with "a toytrain" to Shimla. Accommodation in a hotel. Freetime, getting to know the town. Through naturally beatiful mountain range and villages. The night will be spend in a Tourist Bungalow. 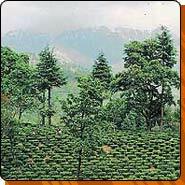 In the morning to Palampur, accommodation in a hotel. A visit in a teaplantasium in the afternoon. 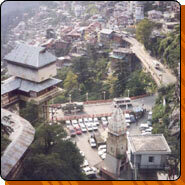 To Dharamshala in the morning, accommodation in a hotel. A visit in a Tibetan center, in Mcleod Gunji. 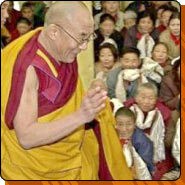 If you are lucky Your excellency Dalai Lama is present. To Pathankot in the afternoon, a night train to Delhi. Arrival to Delhi in the morning. Transportation to the airport, a flight to Frankfurt and a connection flight to Helsinki.